Regular grooming is as important to your horse’s health as a balanced diet and regular exercise, which is why it’s essential that you pick the right grooming products. Not all equine grooming products are created equal; some can irritate the skin or leave coats dry and brittle. Keep your horse healthy and get the most out of your horse grooming products by using these tips. Frequent bathing with the incorrect grooming products can dry out your horse’s skin and coat. With a concentrated shampoo, just 2-4oz of shampoo mixed in a bucket of water cleans your entire horse. Use less, save more. With a sponge or curry, work the shampoo deep down to the skin by using circular motions to stimulate circulation. Clean your horse’s tail by dunking in a bucket and working soap in gently with your hands. Use the tail ends to suds the entire tail, but don’t scrub too hard – it could break off hairs. After you’ve bathed your horse, clean your brushes by soaking them in the sudsy water for a few minutes. A clean brush helps keep your horse cleaner longer. Many equine shampoos are labeled for use on dogs, too. Check the label of your shampoo to see if it’s safe to use on your dog as well. When you’re short on time, bathe your horse with a body wash or 2-in-1 shampoo, such as the Horse Health 2-in-1 Shampoo & Conditioner. These types of shampoos are designed for daily use and tend to utilize gentle formulations. A good shine on a horse’s coat serves as the finishing touch and a sign of good health. Using a coat polish on your horse’s coat not only adds shine, but also helps repel dust, dirt and stains. To prevent stains after a bath, spray your horse’s body, mane, tail and legs with a shine or coat polish. The silicone in the spray coats the hair shaft, making it more difficult for stains to set and mud to harden. Spray your horse’s mane and tail before turning out. The silicone prevents knots from forming and burrs from getting stuck in the hair, reducing the amount of time it takes and product normally used to detangle difficult knots. Coat polishes can be applied to wet or dry hair to help keep your horse clean. Refrain from spraying a coat polish on your horse’s face; instead, put on a cloth and wipe on. Be careful about applying a coat polish on the saddle area; they can be slippery and cause saddle problems and/or irritations. There are different levels of silicone in different brands of coat polishes, so find the one that best fits your needs. 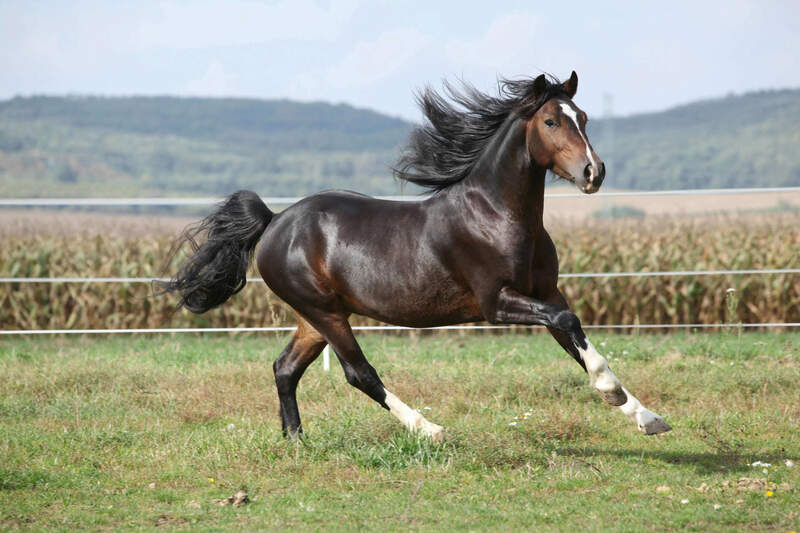 Even with high quality conditioners, your horse’s mane and tail can form knots that are difficult to comb out. Combing out knots without a detangler can result in increased hair breakage, damaging the health and appearance of manes and tails. Using a detangler minimizes hair breakage, and increases volume and manageability. Detanglers can be applied to wet or dry manes and tails to keep hair tangle-free. Some detanglers may be used as a concentrate by diluting with water in a bucket and dunking the tail. To minimize breakage, comb out tangled hair in small sections from the bottom up and use a wide-toothed plastic comb rather than a brush. Use detanglers sparingly. Most detanglers contain silicones and too much can make manes and tails greasy and attract dirt. Buying the right equine grooming products allows you to use less product, keep your horse happy and healthy and save time and money. Spring is a great time to examine your grooming routine and make adjustments for a long, happy summer of riding! Have your own equine grooming tips? Visit our Facebook page and share your grooming tips with us! We love to hear from our horse owners.